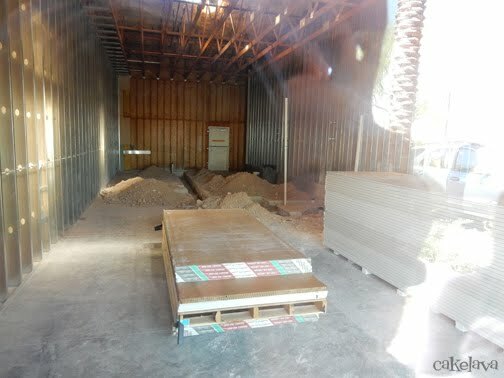 In today's post, we're quickly approaching the end of our new Las Vegas cake studio build-out. In case you missed Part 1, you can read it here, and Part 2 can be seen here. When we took the above photo of the shop after our new illuminated sign was installed, there was still plenty of building commotion going on inside, as witnessed by the large workman's vehicles out front. 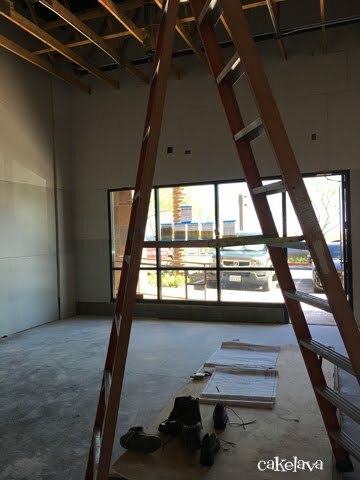 In much the same way we dealt with all the photobombing ladders on the inside of our shop, having obstructions in our photos was part of the build. Embrace it or fight it. Capture the moment, or wait for a picture perfect moment. I wasn't about to ask our hard working team of contractors if they could move their trucks so we could get a unobstructed photo with the new sign. So here it is! Whether you have built your shop from a grey shell, as we did, or moved into an existing space for your business, chances are, at some point you had to purchase a sign, or two, or maybe even three. Prepare for your jaw to drop clear down to the floor, as ours did, when you begin researching the cost of signs. Those illuminated signs you see everywhere cost a pretty penny! Consider it an investment into your business and advertising costs, and then take the time to bask in the glow of your company name in lights, because it is really quite spectacular! We made a nighttime pilgrimage to the shop to see both our lighted signs - the "Monument" sign in front of the shopping center and our main sign above the shop. We have a different kind of sign on our front door, and another on the inside of our shop, because you can never have enough signs! 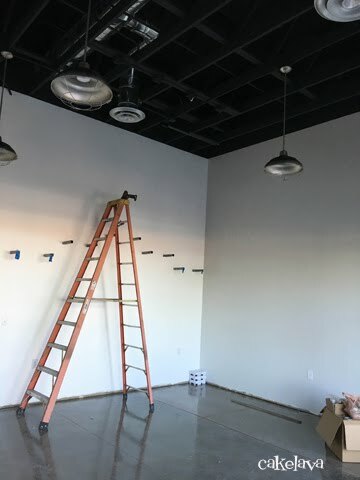 Meanwhile, back on the inside of the shop, we walked in and saw the walls were painted, the pendant lights were installed, the concrete flooring had been polished, and there was a giant ladder obstructing our view as we looked at the wall. We had already had discussions of what would go on that wall behind the ladder. 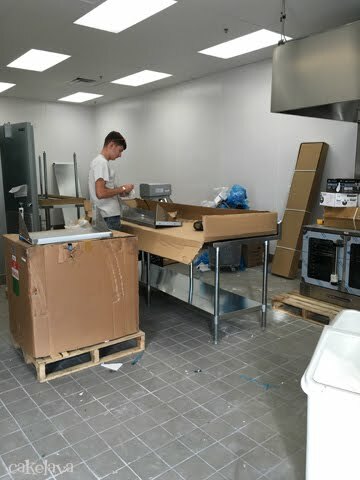 Once our kitchen build was finished and it began to resemble a kitchen, the equipment began arriving, and it was chaos once again! We could feel the excitement building as we watched every piece of our carefully laid out kitchen plans taking shape. Then, one day we walked into our kitchen and it looked exactly like the kitchen we imaged, only 10 times better. It was perfect for our needs, fully functional, and it was GORGEOUS! On another visit, we were greeted with the orange ladder, which was now moved to a different wall. I could have moved it. I decided not to. Since our shop didn't have electricity at the time, we often saw the front room in this light. Here is a view looking out into the parking lot. As more of the decorative components were installed, our excitement level started going through the roof! In Part 4 of this series, we'll share how it all came together! We would love to hear if others have been through a similar experience with a build out of their shop and what their experience was like. We hope you have enjoyed reading about ours! 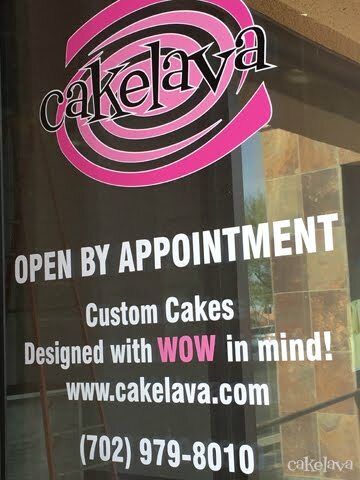 In today's post, we're sharing the process we went through to build out our Las Vegas custom cake studio. If you missed Part 1, which focuses on how we selected our space, you can read it here. Building a shop from the ground up is like making a cake from scratch, and selecting your contractors is like choosing a cake designer. You either spend the time to do the research and allocate whatever finances you can afford to do it right, or you can take your chances and hope for the best. Given that we moved our 10-year old, well-established, cake shop 2800 miles to a new city, we opted for the former. 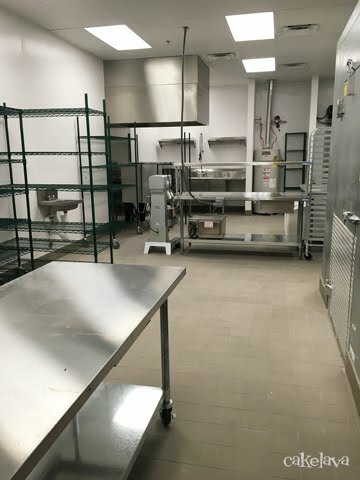 Relocating a business is enough of a risk, so we approached our shop build cautiously, with eyes wide open, and made sure we were at least 90% comfortable with any architect, designer, or contractor associated with it. Without having worked with our team of contractors before, being 100% comfortable would be nearly impossible, but we felt confident enough that the remaining 10% would follow. We didn't jump right into a build once we fell in love with our space. We took a few months of diligent research, and hired the best, most experienced craftsmen we could afford - who understood every aspect of their industry and came highly recommended. We ended up with designers and contractors who knew the importance of spending the time to build a structure that will provide support and safety for us and our customers, and we discovered it came with a bonus - they have a passion for what they do. Our comfort level jumped to 95%. As with any cake, or project, the first step when you are ready to move forward is to hire an experienced architect and designer to customize the space to suit your needs and provide the plans that the contractors will work from. If the place is not properly designed, it won't pass code, and it will extend your timeline for the build and the inspection process, and time equals money. We thought about trying to design the place ourselves to save some money and we know best what we need for our shop, right? Wrong! Unless you are skilled at architectural renderings and know all the codes, you won't have the drawings you need, your contractors won't know what to do, the Health Department won't give you approval to build, and basically you will be screwed! Following code is one of the trickiest things about a build because the codes are constantly changing. It is the contractors' job to know the codes which will save you many headaches in the long run. Hiring a competent architect and designer is as crucial as having a great team of contractors. You'll sleep a lot better at night knowing your project is being done right. 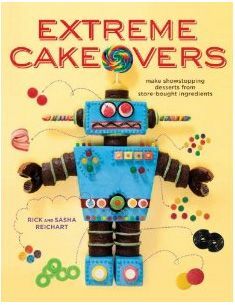 We've seen cakes that look pretty on the outside but sometime during the night they start to lean because of structural issues. 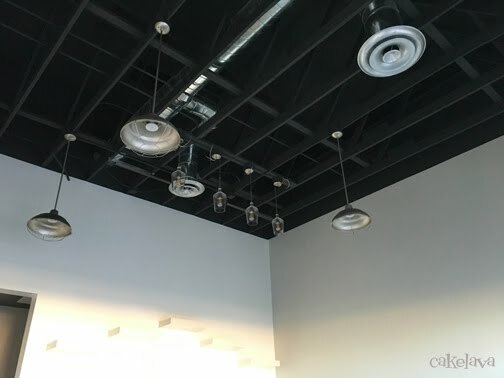 We didn't want that for our shop, and hired the architect and designer. By now our comfort level was around 98%. 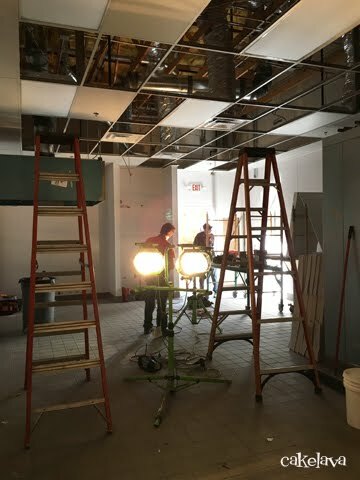 Once we had the plans finished, and they were approved by the health department, and the permits came through, we began the build! This was the first time we built out a grey shell, and we didn't know what to expect. 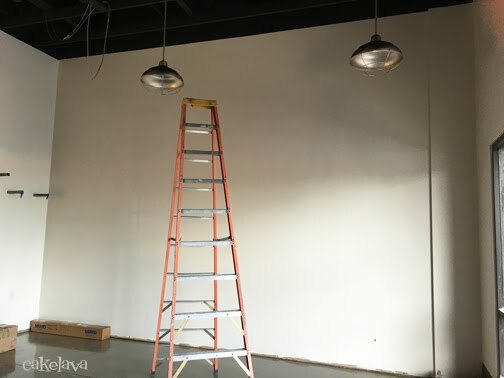 We knew we wanted to witness the birth of our shop from start to finish, and made it a point to stop by almost every day while we were out running the day's errands. We were so glad we did because we got to know our contractors on a personal basis and really see all the hard work they were putting in. We were truly impressed with Tom Santoli, our General Contractor, along with Rocky, Randy, and the rest of the crew. They always went the extra mile for us and it definitely did not go unnoticed! 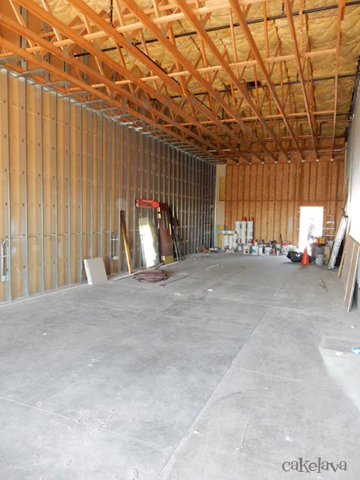 In the early stages of the project, we would show up and there had been subtle changes, like a portion of the floor was dug up, or new slabs of material had been dropped off. 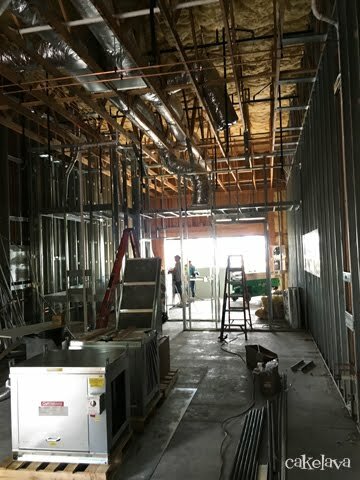 Then, in what felt like an overnight transformation, we walked into the shop and there was framework and ductwork, and exposed pipes everywhere. 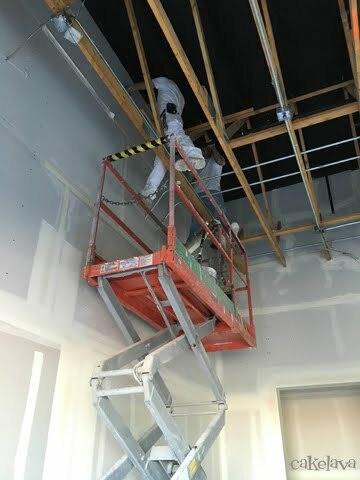 There was banging and drilling and men standing on ladders. It seemed like everywhere we went, there was a man on a ladder. Part of the reason for stopping by the shop almost daily was to photograph the whole experience. Walking into the place, we would get so caught up in what we were seeing that we often forgot to take photos, and when we did, there were always obstructions in the way, usually in the form of a giant ladder or multiple ladders. We have countless photos that were photobombed by ladders. I saw no point in moving them, because it was part of the experience, afterall. The photo above shows the view from the front of the shop looking out. Nothing but shoes belonging to the workmen, shop drawings, permits on the window and of course, a giant ladder. Another photo (with a different kind of ladder) taken in the front area of our shop. This was the drywall phase. For the duration of the build out, we always brought a measuring tape with us, and it always came in handy. Every contractor had their own measuring tape but it was often in use. We worked on our signage for the shop at the same time as the build. Our "Coming Soon" banner went up while our permanent illuminated sign was being made. The sign wasn't small. You can get an idea of sizing in the photo we took at our sign vendor's workshop. Once the banner was installed above our shop, we envisioned what the permanent sign would look like, and we started getting very excited! There was still so much more to do, but we were in the home stretch! It's been three months since I last documented our life in Las Vegas. 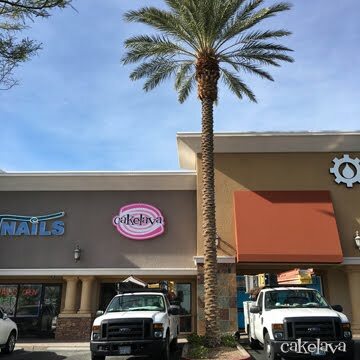 At the time of my last blog post, we had already begun the long process of creating cakelava Las Vegas, and had found our perfect location, the Montage Shopping Center. It would be such a nice place to call home, nestled between a nail salon and a surfing/snowboarding/skateboarding shop. I had to question fate. What were the odds that two people who moved their business from Hawaii to a desert environment like Las Vegas - would end up next to an awesome (and HUGE!) surf shop? This was only one of a number of indications that THIS shop was meant to be! We'll return to those other indications later. Let's rewind a bit. 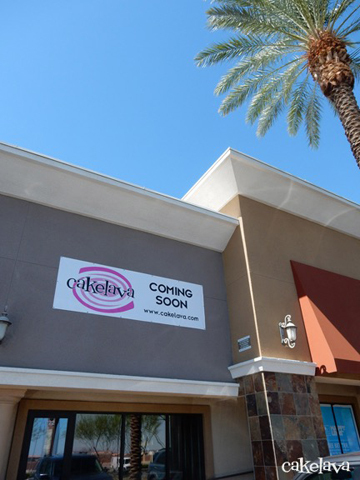 Our hunt for cakelava's new location had begun many months earlier. Shortly after we decided to move the business to Las Vegas, we got a great referral for a broker and started looking at listings from afar. This process was much more different than moving a business to another location in the same state, where you are familiar with the neighborhoods and roads, and know where to go and more importantly, where not to go. In Hawaii, the "where not to go" isn't nearly as much of a factor as it is in a bigger city where crime is more rampant. So that's how it started, by figuring out the areas we wanted to live and the area we wanted to put our business. 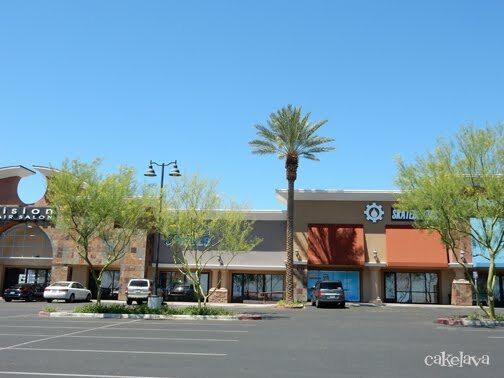 Location, location, location was an enormous consideration for us when shopping for a space, and it quickly narrowed down the unbelievable amount of available retail vacancies to... not all that many. I remember one of the first times we went driving around looking for shop spaces, we couldn't believe our eyes. Almost every shopping center had at least one vacancy, it was like having your pick of spaces, and as to be expected, the less maintained a shopping center looked, the more spaces were available. That was a while ago, and things have a changed a lot since then. 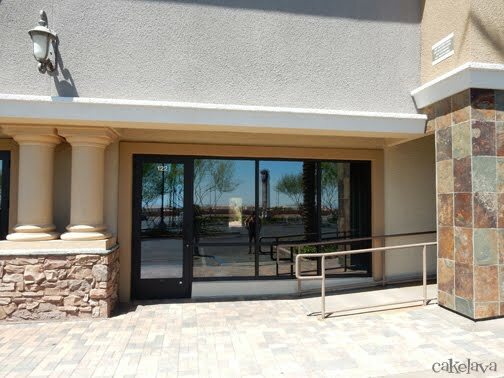 You don't see nearly the amount of retail vacancies in Las Vegas anymore, and rents aren't exactly cheap. In contrast, our experience looking for a shop in Las Vegas was the opposite of how we found our shop in Kailua, Oahu 8 years ago. 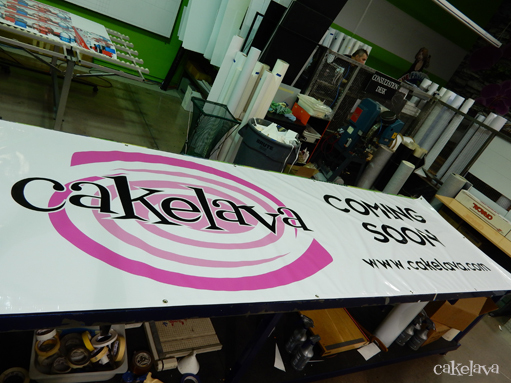 Once we knew we wanted to put the shop in Kailua, we jumped on the ONE restaurant vacancy that was the size we needed and amount we were able to pay, and that was where cakelava would go. If I were to talk about our experience from the time we began looking for a retail space to when we settled on our current location, I would have enough material to blog for a week! Places were either too far from where we wanted to be, too expensive to lease, if it was an existing restaurant, it was too large or didn't have a grease trap, or the shopping center wasn't attractive. Forget about finding an actual small bakery with equipment still inside. Well, we actually did find a couple. 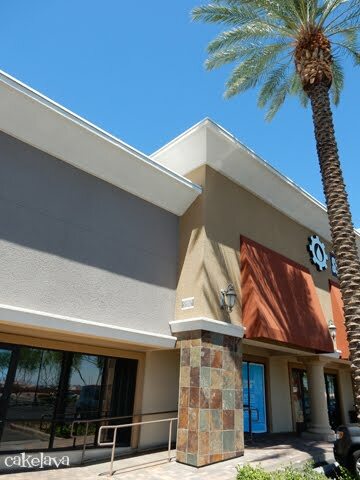 One was in a retirement community, and further than we wanted to be, and another was located in a shopping center barely visible behind the car wash in front of it, on a busy street where a bunch of freeways converged. The rent was nice and cheap and it had a grease trap, so we had to at least consider it, that is, until our broker drove by on our behalf and put the kibosh on it immediately. Grease trap, or no grease trap, we had to keep looking. About that grease trap. Anyone that owns a food establishment knows that finding a place with a grease trap is like finding a treasure, and that treasure can be worth about $20,000, and that is just for installing a grease trap! It doesn't include sewage fees, which can be enormous. We had a grease trap at our Kailua shop, and it definitely helped make finding a new tenant there very easy. 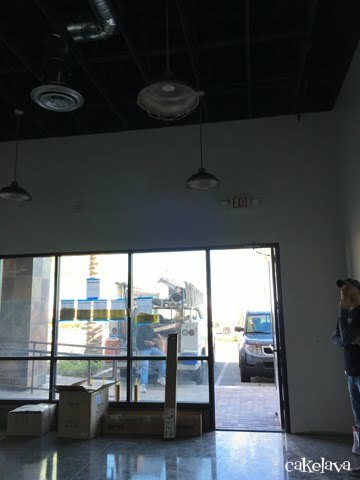 Since there were so few food establishment vacancies that 1) had a grease trap that were 2) affordable and 3) in a location we wanted to be, we expanded our search to ... almost anything. This led us to the "grey shell" and "vanilla shell" territory. There is no reason the average person should know what a grey shell or vanilla shell is, or the difference between the two. We found out very quickly. A grey shell is essentially a new construction big empty box with the frame and a floor. It lacks heating, A/C, ventilation, plumbing, electrical, lighting. Sometimes there are no ceilings or interior walls. It looks a lot like the photo above. A grey shell is a great option because it can be your blank canvas, but can also be expensive to build out because you are working from scratch. 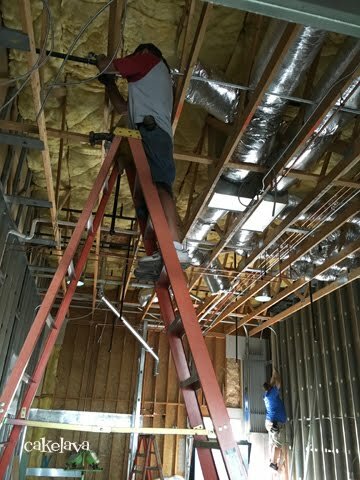 Finding places that are already built out has its disadvantages as well because unless the place is already outfitted for your type of business, you end up spending a lot of money taking everything out you don't need and reworking the place. 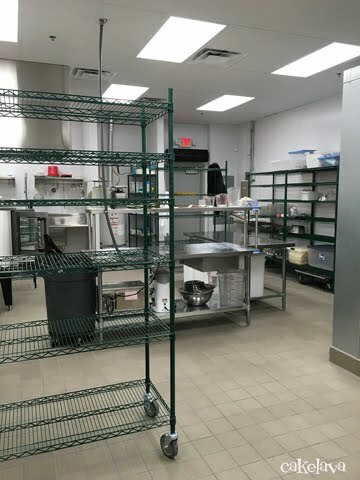 For example, a pizza place can easily move into another pizza place, but try moving a custom cake shop into a previous pizza space, and that can be a huge headache. You also have to consider the health department's requirements for your type of business and that can require costly modifications. 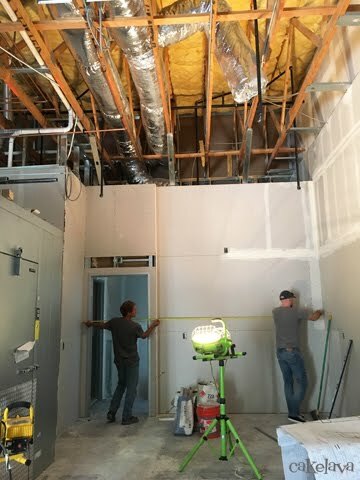 A vanilla shell takes the grey shell a major step forward, and includes lighting, electrical, plumbing, a restroom, heating, A/C, a floor, a ceiling. 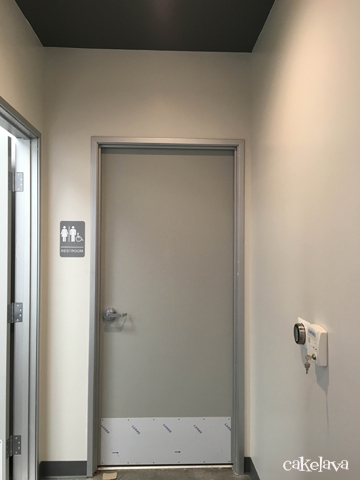 After considering all our options and "must haves", and looking at both grey shell and vanilla shell options, and places with and without grease traps, we ultimately chose a grey shell that just happened to have a grease trap! Remember those indications this shop was meant to be? This was a huge one! Grey shell it is, and cakelava will be built - just like our cakes - from scratch! It didn't look like much at the time, but inside this big, empty, beautiful box, dreams, and amazing cakes will be made! There were many preparations to do in the time between finding a shop and starting the build out of our grey shell. Las Vegas is a highly organized, highly regulated city, and very expensive city to open a business in. Here again, I have enough material to blog for a week just describing the whole educational - for lack of a better word - experience of preparations to open a shop in Vegas. It's something any business owner here can relate to, especially those with food businesses that have to deal with the various regulatory agencies. Three words. High. Learning. Curve. Unless you know exactly what you are doing and which steps to do first - which we did not - there is a High. Expensive. Learning. Curve. 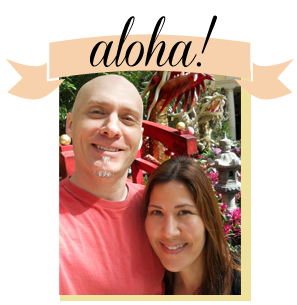 This was our second time starting a business - we did it 10 years ago in Hawaii - but Vegas is a completely different animal than Hawaii, and once we accepted that, and rolled with it, rather than fought it, it felt empowering. At some point when the fear of the new challenges and acceptance that no matter what you do, it is almost impossible to stay on budget during a build, we began to embrace the experience of building from scratch. What an experience it was!